Walkandtalk: True winter is BACK! After some amazing snowfalls in December and then a warm spell in January, here comes FEBRUARY. It's cold again, and new snow is falling! 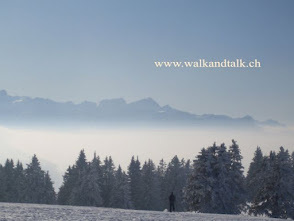 Time to plan your next snowshoe adventures with WALKANDTALK. Here are a few pictures from the last outings. Let's start with a hike in the Marchairuz area, up to the Cunay summit (1602 m) with an enthusiatic group of expats (an a few locals too)! 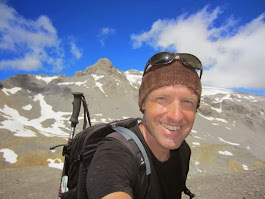 And just last week, a trip to SWISS Cowboy land, close to Vevey, with an international team of hikers: we climbed up to the Pralet summit (1570 m) in the mountains above Lac Léman (or Lake Geneva if you prefer). And here's an unusual spot near Neuchâtel: an impressive limestone ridge with lots of wildlife. These pictures were taken during an exploratory hike, preparing new routes.